London: Hamish Hamilton, 1988, Hardback in Dust Wrapper. From the cover: “Vivien Leigh won international acclaim at the age of twenty-six when she crossed the Atlantic and walked off with the coveted part of Scarlett O’Hara in Gone with the Wind under the noses of some of Hollywood’s most famous stars. For this part alone she has earned a lasting place in film history. She was hardly ever in a bad film or a bad play and she tried a wide range of parts — scoring notable triumphs in A Streetcar Named Desire, as a convincing Lady Macbeth and as Sabina in The Skin of Our Teeth. There have been many biographies of Vivien Leigh, invariably Hollywood filmographies, most of which have been inaccurate and incomplete. Hugo Vickers approaches his subject as a human being, according her the same detailed research that the readers of his Cecil Beaton and Gladys, Duchess of Marlborough have come to expect of him. He examines the previously uncharted story of Vivien Leigh’s antecedents, making surprising new discoveries. He is able to bring Vivien’s parents to life as real people with the help of a great number of family documents, letters and diaries, made available by Vivien’s daughter for the first time. These give the first clear account of the atmosphere in which Vivien was raised. He traces the progress of her relationship with Leigh Holman, from their first meeting, through the period of their engagement, marriage and divorce, and shows how they formed an important, lasting friendship, helped by the complete series of letters Vivien wrote to him between 1932 and 1967. He has made extensive use of the Oswald Frewen diaries, an essential source not only on that marriage but on Vivien’s elopement with Laurence Olivier and their subsequent adventures. 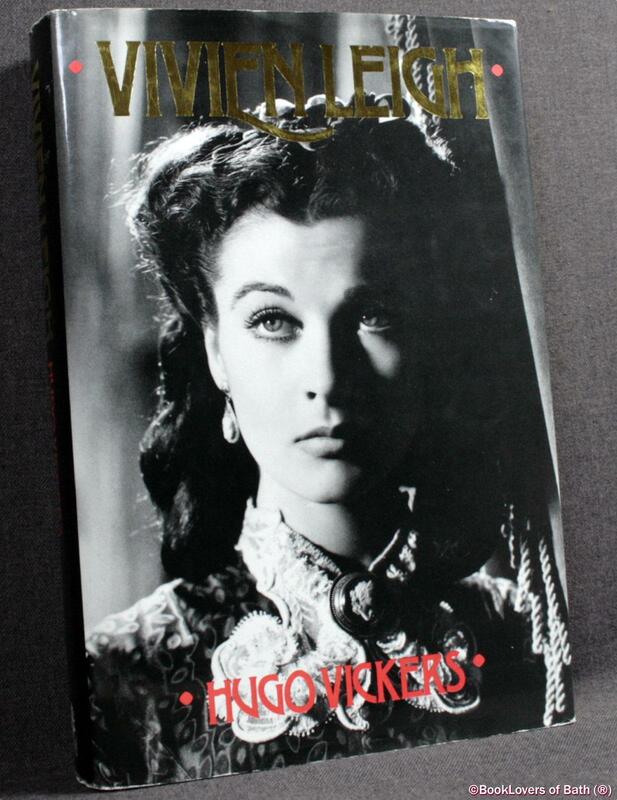 Hugo Vickers also examines Vivien’s film and stage career, writing of her as a person and not as the “property” of a film company or a name on a contract. He examines her films and, drawing on a great number of interviews with famous figures of the stage, he recreates her part in the life of English Theatre in the 1940s and 1950s. An important feature of the book is, of course, her love for Laurence Olivier and their twenty-year marriage, so much of it made difficult by recurring bouts of tuberculosis and manic depression. Hugo Vickers, drawing on many hours of conversation with her devoted friend, the actor John Merivale, explains how Vivien re-established her life after the divorce. Jacket designed by Craig Dodd. Size: 9½" x 6¼". Black boards with Gilt titling to the Spine. [XVII] 411 pages.